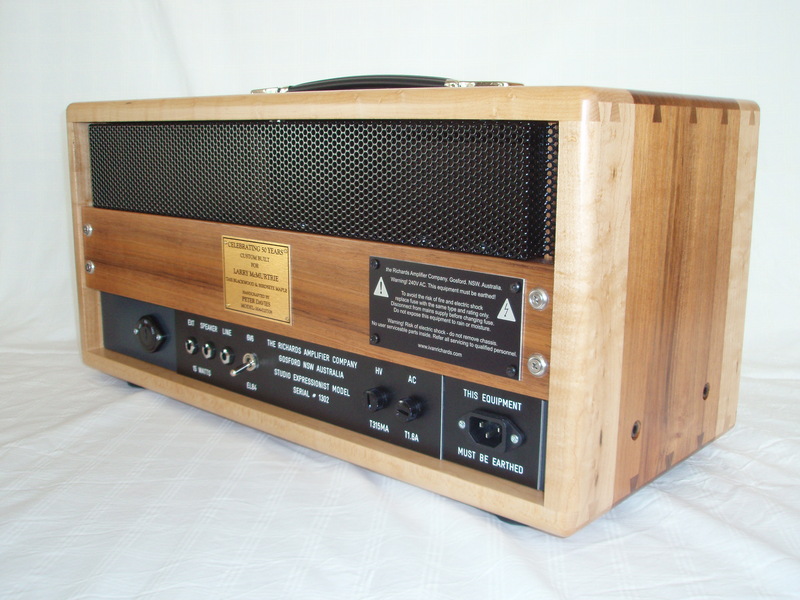 Here is a testimonial ref the Studio Expressionist model amplifier, rated at 15 watts into 4, 8 or 16 ohms, designed and hand-wired, one at a time, by the Richards Amplifier Company – Australia. The testimonial was written by ARIA Award winning producer, Jonathan Burnside and is reproduced here in its entirety, without any editing. Jonathan is an American producer, has worked with Nirvana, Faith No More, etc, but has also produced a number of successful Aussie bands, including The Sleepy Jackson, Dallas Crane, Eskimo Joe, The Grates, The Living End, Dan Sultan, The Melvins, Grinspoon and many more, most recently Cold Chase. My aplogies to any names I have overlooked. “Recently I was engineering and producing the Australian band Slow Chase at Mixmasters, an excellent studio in the Adelaide Hills. 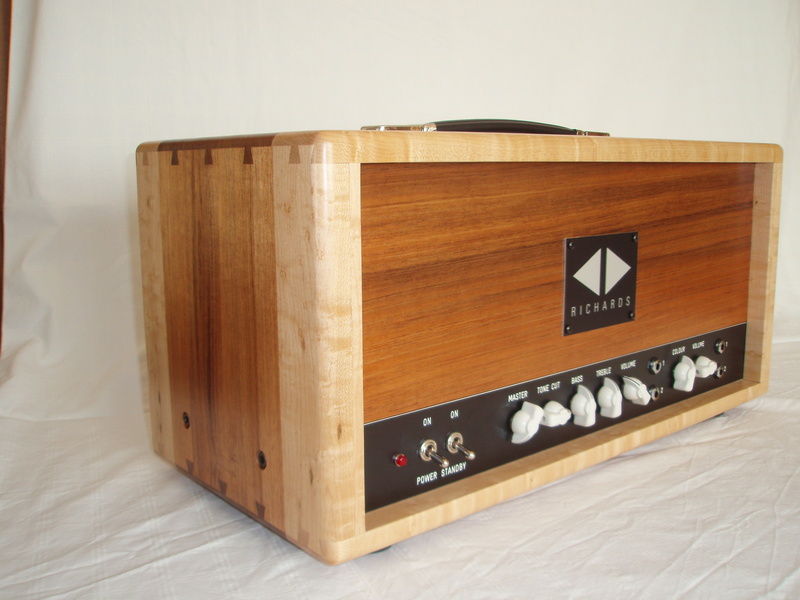 Being a lover of fine low-wattage amplifiers, I encouraged guitarist Adam Gresty to bring along his new Richards Expressionist 15W model amp head. 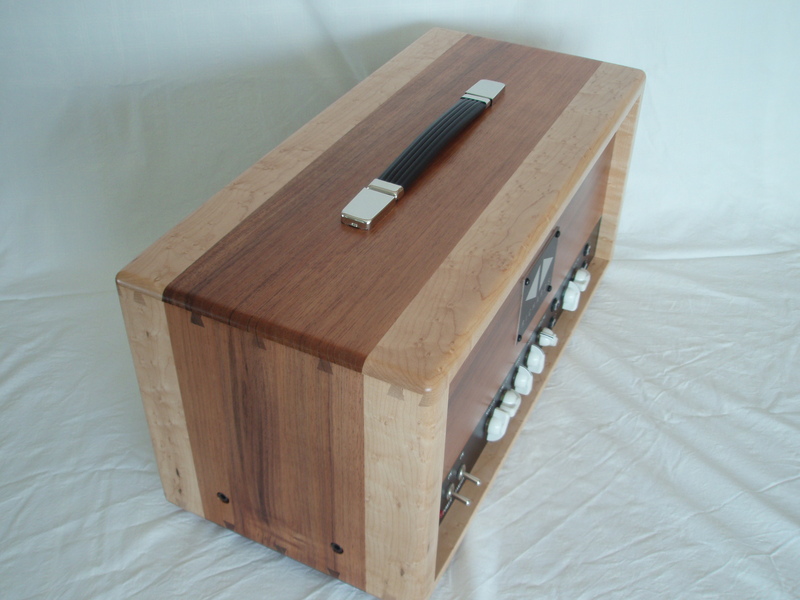 I had heard great reports about the amp but had not yet used one. Adam was able to fly with the amp with no excess baggage charges, another perk of a low-watt head ! We were in a studio equipped with a million bucks worth of audio goodies, but the Richards Expressionist proved to be the most important piece of gear in the house. The songs were glam-boogie-rock-and-roll and I was able to dial in that fat Marc Bolin/T. Rex Les Paul sound perfectly. Some of the leads involved more of an eighties Van Halen tone, and again I was able to dial in Eddie’s famous ‘brown sound’ in a matter of seconds. I find amplifier tube (valve) saturation generally more pleasing than pedal distortion, and the beauty of a low-watt amplifier is that you can get output tube (valve) saturation in on the game without risking permanent ear damage. The Expressionist was a champ at this (pun intended), and I loved being able to flick a switch to choose between output tube (valve) types for significantly different sounds. I also favour using guitar amps for recording bass guitars in the studio, because I like the punchier, more even tonal balance they supply in comparison to a huge bass rig. The Expressionist was wonderful for this and using the tone selector I was able to come up with the perfect midrange/low frequency balance for every song. Even though I also used a high-quality direct-box for the bass as well, and phase-corrected it to the amplified bass mic, I ended up using only the mic’d Expressionist bass track in the mixes for all the songs. As we say in America, it covered all bases. Thanks, Jonathan !! That brings this week’s blog to a close, please tune in again next week. Please check out the Jonathan Burnside/Producer website. Please also check out our earlier blog ref Aussie band Slow Chase in the studio, plus all our other amp and pedal related blogs. This entry was posted on July 24, 2011 at 9:02 am and is filed under Amps. You can follow any responses to this entry through the RSS 2.0 feed. You can leave a response, or trackback from your own site.